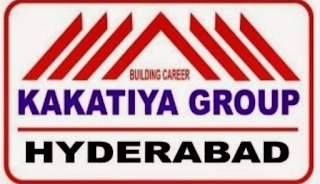 Kakatiya Group of School, Telangana has advertised in THE Deccan Chronicle newspaper for recruitment of Principal/Vice-Principal/Primary/High School Teachers/Pre-Primary Teachers jobs vacancies. Interested and eligible job aspirants are requested to walk-in on 26th,27th,28th May 2018.Check out further more details below. 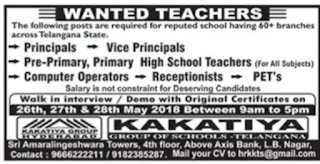 (a) Principal: PG with B.Ed and minimum 5 years of experience. (c) Pre-Primary Teachers: PPT/Montessori trained with relevant experience. 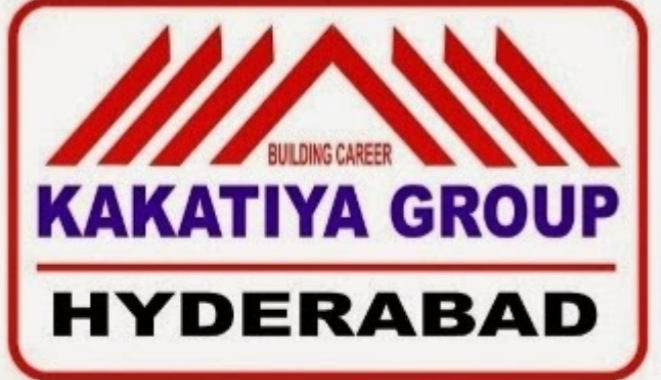 How to Apply: Walk-in Demo with original certificates on 26th,27th,28th May between 9 a.m to 5 p.m.
Reference: Advertisement on THE Deccan Chronicle newspaper Dated 24th May 2018.